Tackling obesity: a raw resolution? Dr Claire Miller looks at the potential of introducing an appropriately balanced raw diet in meeting the needs of obese pets and helping to manage owners’ expectations. IN SPITE OF OUR BEST EFFORTS IN VETERINARY PRACTICE, the obesity crisis rages on with 77% of vets surveyed at The London Vet Show believing the problem continues to worsen. As many as half of the companion animals in parts of the developed world are now considered overweight or obese2, and we are well aware of the increased morbidity and indeed shorter lifespan associated with this most common form of malnutrition. However, this complex and often emotive topic is certainly not an easy one to resolve and the key to progress may lie in a better understanding of the human-animal bond and the reasons behind the paralleled obesity epidemic faced by human medicine. The “One Health” approach is a modern initiative that recognises the integral link between humans, animals and the environment when striving for improved health. Proponents encourage a collaborative and cross- sectional approach whereby human and veterinary specialists combine efforts to resolve health issues. Research has shown the positive correlation between owners with high BMIs and their overweight dogs; however, the link between obese cats and their owners is more complex. Often it can be a sensitive subject to discuss with owners and frequently multifactorial in its aetiology. Predisposing factors can encompass genetics, pharmaceuticals, diseases such as hypothyroidism, neutering and stress, but ultimately the main reason behind most obese patients is a positive mismatch between energy intake and energy expenditure. The increased anthropomorphism of our pets, strong empathetic bonds and the use of food as a primary form of communication all contribute to the biggest failing in successful obesity management: owner compliance. Kienzle also describes the “overhumanising” by obese owners, whereby the dogs were indulged as “fellow-humans”. Instead of challenging these behaviours, we could attempt to better understand their root motivations and tailor nutritional plans to better suit and support the human-animal bond. What role could raw play? An owner’s perception of a diet is crucial. Unfortunately, many owners will associate “diet foods” with less flavour, poorer satiety and boredom. For owners using food as a primary means to communicate their affection and build their bond, a diet food can prove to be a hard sell. There is also a growing desire to source fresh, natural foods both for us humans and our pets. An appropriately balanced raw diet has the potential to satisfy both the needs of the obese pet and crucially manage owner expectation to achieve greater success in pet weight management. Compliance is often one of the biggest hurdles in tackling obesity. Using raw can help provide an option which has both the public perception of being fresh, natural and healthy without compromising on palatability.8 However, the potential of raw diets for weight management stretches far beyond meeting the human need and easing compliance. 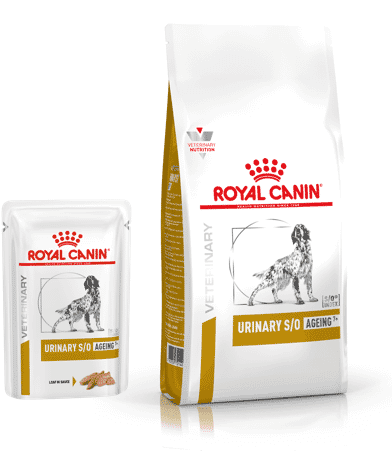 Historically, diet pet foods have relied upon a high fibre content for satiety; however, a consequence of this can be a significant increase in defaecation (quantity and/or frequency). While this is unlikely to be a concern for most pets, it can be a larger and potentially embarrassing issue for the owner, and could impact on that all important human/animal bond. In contrast, the low fibre and high digestibility offered by many raw diets can instead reduce stool volume9 but still maintain satiety, courtesy of the higher protein content. Using a high protein/low carbohydrate diet has been shown to be a very effective tool in weight management for both dogs and cats. This balance can be difficult to achieve in dry diets owing to the need for a moderate carbohydrate content for extrusion, whereas raw can provide more flexibility to accommodate this as there are no processing restrictions. The effective maintenance of lean body mass is also key and a higher protein/lower carbohydrate balance can ensure pets are preferentially losing fat over muscle during their weight loss programme. Protein- rich diets can also reduce the calorie restriction required for weight loss as well as acting on a longer-term basis to reach and maintain a healthy body condition. One recent human study describes a “protein-leverage hypothesis” and extrapolates to companion animals. The hypothesis suggests humans are better able to naturally regulate their energy intake from protein sources compared to non-protein sources (i.e. carbohydrates and fats). Due to the rising costs of suitable protein sources, the diets of both humans and companion animals have become more reliant on non-protein energy, which are being consumed in larger quantities and potentially contributing to the obesity epidemic.14 While there is clearly still much to learn and explore, such as the future work on the role of the microbiome and its link with obesity15, the research certainly supports what raw has to offer. For some, the suggestion of a raw diet may be counter-intuitive and certainly not all formulations would be suitable. The protein to oil ratio and caloric density are crucial in selecting a suitable raw diet for weight management. Most reputable manufacturers are able to help and advise on calorie information but it is also possible to estimate calories from the on-pack legal declaration of analytical constituents using the equation shown in. There is a growing availability of complete and balanced, professionally prepared and regulated raw diets in what is a consumer-driven market. These diets are even available with a convenient portion control design negating the need to convince a reluctant client to carefully weigh or measure portions. Instead, a set number of nuggets can be defrosted in advance, even making it harder to cheat and top-up the bowl later at mealtimes. 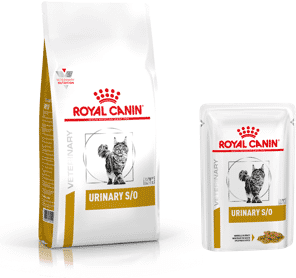 Owing to the significantly reduced energy density of the food compared to extruded dry diets, the portion size is often visually more acceptable to owners. Increase in exercise is also key but care should be taken when dealing with excessively overweight animals due to compromised respiratory and heart function. Many obese patients are often geriatric and owe their increasing waistlines to reduced activity. Therefore concurrent illness must always be considered when making a diet change. As we evolve the “One Health” approach to allow us to fully realise the link between human and animal health, could realising the potential of raw help us on our journey of tackling the obesity crisis? By providing a desirable diet in the eyes of the owner and a better balance physiologically for effective weight loss, a complete raw diet could offer a solution to many struggling weight management cases which need not hinder the human-animal bond. Pet Food Manufacturers Association (PFMA) (2014) Pet Population Report 2014. Online at www.pfma.org.uk/_assets/docs/P... WhitePaper_2014.pdf [accessed 19th February 2016]. Holmes et al (2007) Risk factors associated with excess body weight in dogs in the UK. J Anim Physiol Anim Nutr 191: 166-167. Kealy et al (2002) Effects of diet restriction on life span and age-related changes in dogs. J Am Vet Med Assoc 220: 1,315-1320. Sloth (1992) Practical management of obesity in dogs and cats. JSAP 33: 178-182. Sandøe et al (2014) Canine and feline obesity: a One Health Perspective. Vet Rec 175: 610-616. Nijland et al (2009) Overweight in dogs, but not in cats, is related to overweight in their owners. Public Health Nutrition 13: 102-106. Kienzle et al (1998) A comparison of the feeding behavior and the human-animal relationship in owners of normal and obese dogs. J Nutr 128: 2,779-2,782. Hielm-Bjorkman and Virtanen (2013) Exploratory study: 632 shared experiences from dog owners changing their dogs’ food to a raw food (BARF) diet. Online at www.mushbarf. com/en/information-and-resources-about-barf- feeding [accessed 19th February 2016]. Bierer and Bui (2004) High-Protein Low- Carbohydrate Diets Enhance Weight Loss in Dogs. American Society for Nutritional Sciences. J Nutr 134: 2,087S-2,089S. Diez et al (2002) Weight Loss in Obese Dogs: Evaluation of a High-Protein, Low-Carbohydrate Diet American Society for Nutritional Sciences. J Nutr 132: 1,685S-1,687S. La amme et al (2005) Increased dietary protein promotes fat loss and reduces lean body mass during weight loss in cats. Int J Appl Res Vet Med 3: 62-68. Vasconcellos et al (2009) Protein intake during weight loss in uences the energy required for weight loss and maintenance in cats. J Nutr 139: 855-860. Raubenheimer et al (2015) Nutritional ecology of obesity: from humans to companion animals. British J Nutr 113: 526-539. Handl et al (2013) Faecal microbiota in lean and obese dogs. FEMS Microbiology Ecology 84: 332-343. Wannemacher and McCoy (1966) Determination of optimal dietary protein requirements of young and old dogs. J Nutr 88: 66-74. Peterson (2011) Optimal protein requirements of older cats and cats with hyperthyroidism. Online at www.endocrinevet. info/2011/11/optimal-protein-requirements-for- older.html [accessed 19th February 2016]. Finco et al (1994) Effects of aging and dietary protein intake on uninephrectomized geriatric dogs. Am J Vet Res 55: 1,282-1,290. Robertson et al (1986) Long-term renal responses to high dietary protein in dogs with 75% nephrectomy. Kidney International 29: 511- 519.